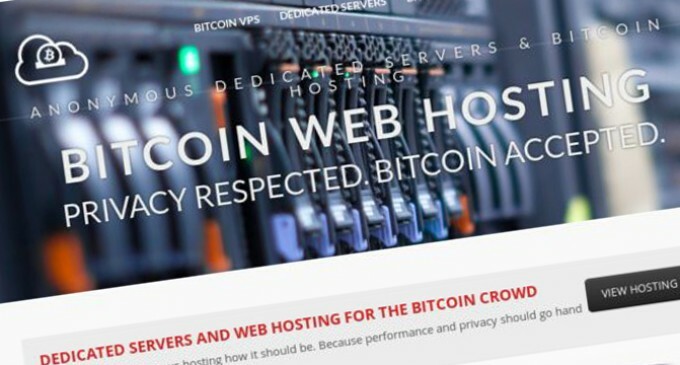 Cheyenne, WY — BitcoinWebHosting.net, a company that has led the way in hosting solutions for the Bitcoin community, has completely rebranded their site and announced new plans, new features, and a string of services that aim to blend privacy and performance into one straightforward solution. BitcoinWebHosting.net has a long list of plans going forward, including a true cloud-platform that will allow customers to instantly provision a VPS in the location they choose, right from their iPhone or Android. And of course, they’ll be able to pay with Bitcoin. The new services recently added to the site include shared hosting plans from $5 per month and Business-class shared hosting that comes with a free SSL, domain and dedicated IP. While much of the media coverage surrounding Bitcoin tends to miss the point, education is helping clear up confusion and uncertainty. This has lead to more merchants making the decision to start accepting Bitcoin. As BitPay’s merchant directory clearly shows, there are a wide range of businesses who accept Bitcoin, including Overstock.com. Fraud is another reason merchants are deciding to accept Bitcoin. Payment solutions like PayPal and traditional merchant services often place the onus of dealing with chargebacks and false claims on the business owner. This type of fraud is common and can not only be costly for merchants, but time consuming as well. Bitcoin removes these particular fraud risks by allowing frictionless payments that are irreversible. In other words, chargebacks don’t exist. While some argue that this offers less protection for consumers, the reality is it reduces costs for merchants, which gets passed on to consumers. Bitcoin uses a public ledger system to facilitate payments around the globe. The Blockchain, as this public ledger is called, removes trust from the equation and uses math to verify transactions. This ability gives merchants protection from fraud, and because Bitcoin acts like digital cash, it removes the need for consumers to hand over personal details during checkout. At a time when privacy concerns have become the hot issue around the globe, a system that allows consumers to keep their privacy is only going to become more valuable. BWH is the leader in bitcoin hosting solutions, offering unparalleled performance, exceptional support, and a platform that puts the power of privacy in the hands of their customers. BitcoinWebHosting.net offers shared hosting, VPS, dedicated servers and DDoS protection, and allows customers to sign up with only an email. No personal details required. Privacy Respected. Bitcoin Accepted.